Most people know that the best way to learn a language is to start young, as the brain is most receptive to cognitive development in a child’s early years. Beyond that, the most effective way to truly learn a dialect, full vocabulary, and grammatical correctness is to immerse yourself in a country that speaks the language you’re trying to learn. Unfortunately, everyone’s education and childhood upbringing isn’t the same, nor do all people have the opportunity to travel abroad to foreign language speaking countries. That’s why language learning software is rapidly becoming one of the easiest, most effective, and popular ways of learning a new language, regardless of prior experience. Today, language software comes in various proficiency levels for travel, business, and educational purposes in platforms that offer a range of vocabulary, pronunciation, grammar, and conversational exercises. With its proprietary speech recognition software, live online lessons, language-learning games, and interactive mobile apps, Rosetta Stone is one of the most popular language software on the market. Level 1 of RS Spanish Latin America version will get you started building a basic Spanish vocabulary of words and phrases, in addition to teaching you to spell, write, and speak greetings, introductions, and simple questions and answers. 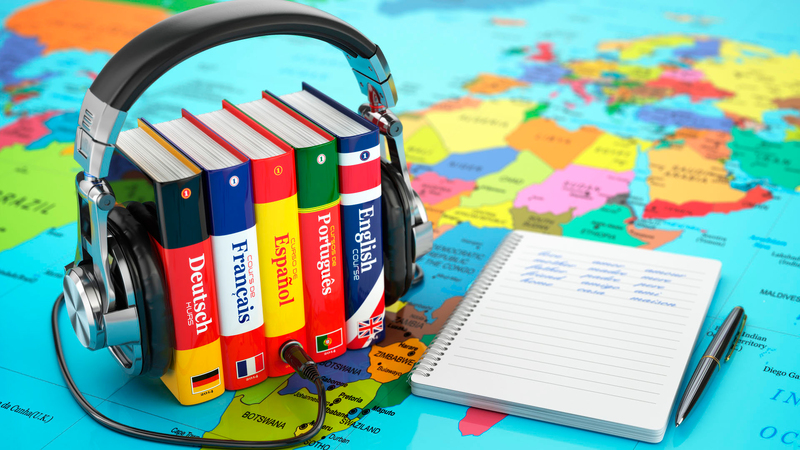 The innovative Rosetta Stone program comes with CD/mp3 audio companions and a related mobile app for practicing on the go, a microphone headset for use with the speech recognition software, and live online lessons taught by native speaking instructors who can help you with your pronunciation and overall understanding of the new material. 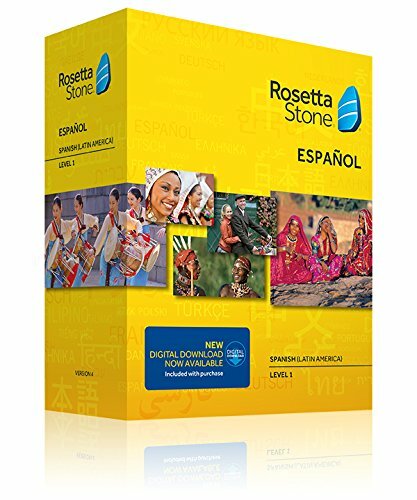 Rosetta Stone Spanish Level 1 makes it fun and immersive for students of all ages to jump into a new language, with a systematic presentation of sounds, graphics, and text to help you learn at a proper speed as to retain the most information. As Spanish is spoken in dozens of countries in Central and South America, Europe, and North America, this software is geared towards those wanting to learn the ropes of Latin American Spanish specifically. 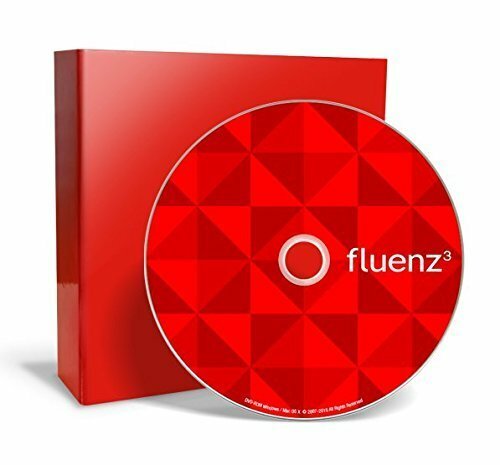 Covering five levels of French from beginner to advanced intermediate, Fluenz French takes an approach to language teaching wherein the student’s native language of English is used to reinforce the lessons in French. The Level 1-5 package with supplemental audio CDs and podcasts includes 150 sessions at up to two and a half hours each. Fluenz teaches French the way students often learn best, with one-on-one tutors that guide you through each step of the learning curve, using English explanations to reinforce the introduction of new words, phrases, and sentence structuring. This approach, which differs from other popular language software that focuses on interactive immersions into the language, is geared toward adult learners who learn differently than children. Instead of slowly increasing your vocabulary and phrase proficiency, Fluenz starts you off learning real-world questions and conversations that adult’s are most likely to need in travel and business situations. The unique and highly effective Fluenz French software has a proven track record with members of the US Navy, United Nations, UNICEF, Harvard Business School, and a variety of Fortune 500 companies. Offered as an affordable language software packed with all the same features of versions that cost exponentially more, the Instant Immersion language learning software is a fun and interactive system that will have you coming back to learn more after your feelings of accomplishment after each lesson. 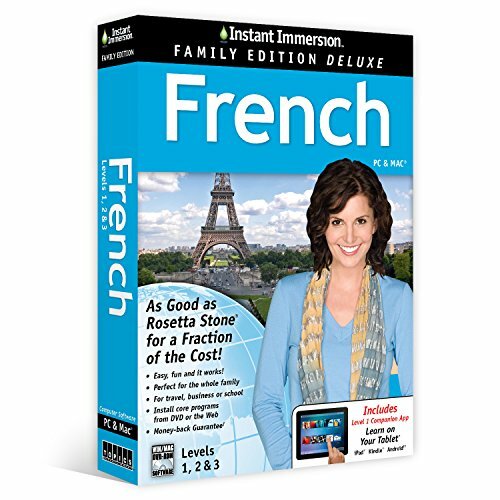 The II French Family Edition includes three complete levels of comprehensive French lessons presented in an interactive game-style atmosphere that will appeal to anyone in your family. This edition of Instant Immersion is geared specifically to the family unit that wants to learn French together, be it for a vacation, kid’s schooling, or dad’s job. A user-tracking function keeps tabs on each family member’s progress and allows each family member to feed off the development of others. For extra help, the package includes an interactive family DVD, 11 hours of audio lessons on CD, and a bonus pocket phrase guidebook. Plus, the software can be installed on unlimited computers throughout your home so that everyone can practice their skills on their own time.